Aerospace and defense components require extremely high accuracy and tight tolerance machining. SDP/SI’s combination of 9-axis Swiss turning, 5-axis machining, and assembly capabilities allow them to meet the critical tolerances and functionality needs that the defense and aerospace markets demand. To ensure top performance, precision components, gears, and complex gear assemblies are assembled in the onsite ISO 7 Class 1000 Cleanroom, expanded to meet increased demand. In addition to mechanical assembly, SDP/SI offers a number of additional services such as reverse engineering, lights-out manufacturing, high-efficiency/ low-cost volume production, and low-volume prototype machining. “Our mission at SDP/SI is to not only machine extremely precise components but to work closely with our customers to manage, develop, and flow all service requirements such as heat treating and plating,” says Doug Kerester, V.P. Sales & Marketing. 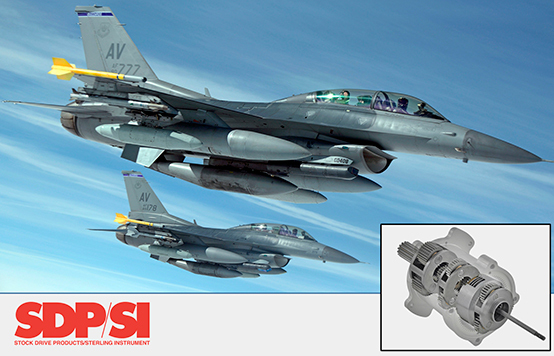 “By simplifying the process our customers can focus on their end product and getting to market on time.”SDP/SI provides precision gears and gear assemblies for programs such as Standard Missile, Apache Helicopter, F-35, Stinger Missile, Boeing Satellite, and a number of other key components for the defense industry.